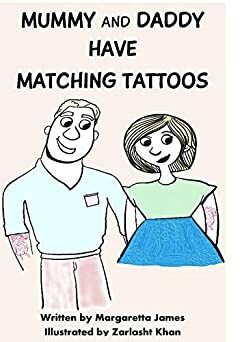 A little girl is curious about all weird and wonderful tattoos belonging to her family members. One family member, in particular, has a secret tattoo. The way her family finally sees the tattoo is a little bit shocking (for a four-year-old)! A fun rhyming book for the under eights.